As I left the house today, I crossed in my path a complete, fresh goose turd. 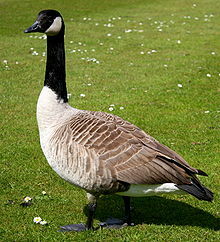 Our geese have barely left, stupid climate shift. So I cursed the geese. Then I thought "THUGGEES" What was a thuggee? It was the cult from Temple of Doom. Thulsa Doom. Conan. James Earl Jones. Also Darth Vader's voice. Back to Star Wars, via George Lucas. Conan also had Arnold Schwarzenegger. Who was the father in Jingle All the Way, with Jake Lloyd, also the younger Anakin Skywalker. Star Wars again. Everything always comes back to Star Wars.